So much for alternating schedules. I thought for sure Assassin's Creed would be taking a break this year—it seemed like Ubisoft was switching to an every other year cycle, trading off with Watch Dogs. 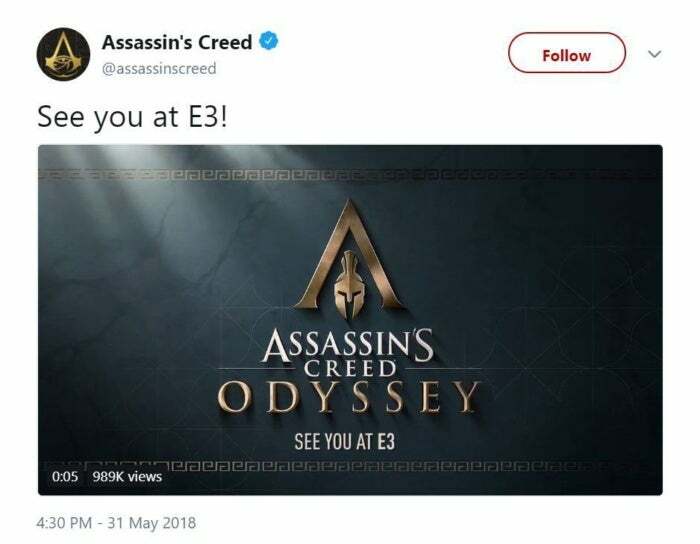 And yet here we are, a week before E3, and there's now confirmation of Assassin's Creed: Odyssey. The news first came by way of a leaked "collectible helmet keychain" on the French site JeuxVideo. Ubisoft went ahead and confirmed it a few hours later though, with a brief video of one guy kicking another off a cliff, a title splash, and a "See you at E3" message. I guess if you're going to set a game in Ancient Greece, you pretty much have to copy that kick-a-guy-in-the-chest moment from 300. It's the rules or something. In any case, yes, Odyssey is reputedly set in Ancient Greece. Judging by the name, you'd expect it to take place around the time of the Trojan War and Homer's Odyssey, though that's a bit of an odd proposition. 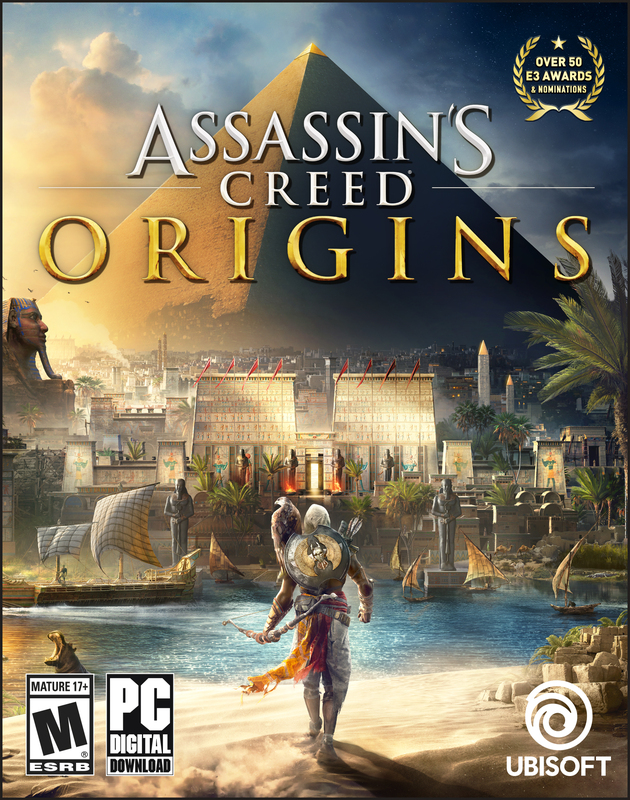 Origins was billed as the start of the Assassin's Creed timeline, but Ptolemaic Egypt came over a thousand years after the dust settled at Troy. Hard to rectify the two. We'll know more soon though. As I said, E3 is a bit over a week away—Ubisoft's press conference is Monday, June 11, at 1 p.m. Pacific. Whether we'll see a Watch Dogs 3 this year too? Who can say, at this point? We'll keep you updated.